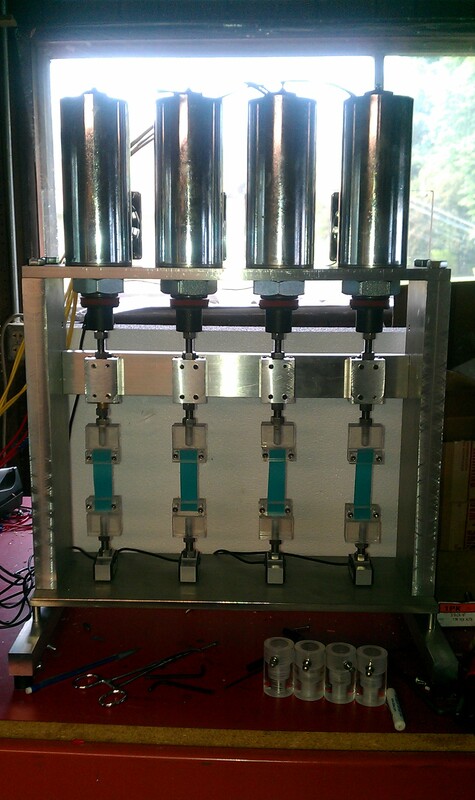 Proto-tech’s fatigue tester has been expanded to offer tensile testing up to 400 N. The standard platform featuring PC-controlled cycling has been upgraded with interchangable solenoids so that tension can be applied. Specially-designed grips are designed to hold strips in tension. Custom grips are available on request. Contact Proto-tech at 971-344-3730. Find more information at Proto-tech’s website https://www.prototechresearch.com.